Tune up your ear without any need for a helix piercing! 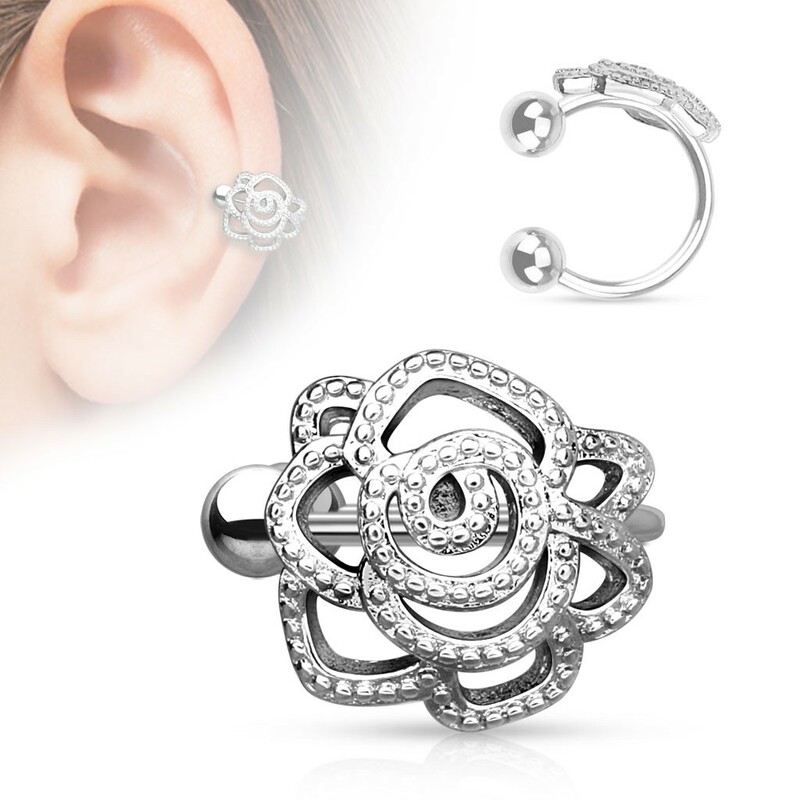 With this ring you just simply slide the ring onto the edge of your ear and in doing so imitate a helix piercing. Two balls on each side create pressure keeping the ring in its place. This ring is decorated with a neat little rose.